Plate 6. From a suite of copies in reverse. Numbered 'VI' in the lower centre left of the plate. V&A inventory number: E.1011-1908 is a duplicate of E.152-889. V&A inventory number: 28324.6 is a reverse copy of the plate. Antonio Tempesta. 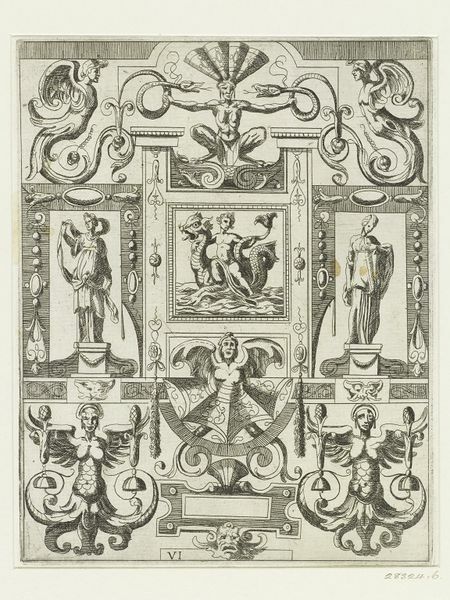 Panel showing a putto on a seamonster within a grotesque border. 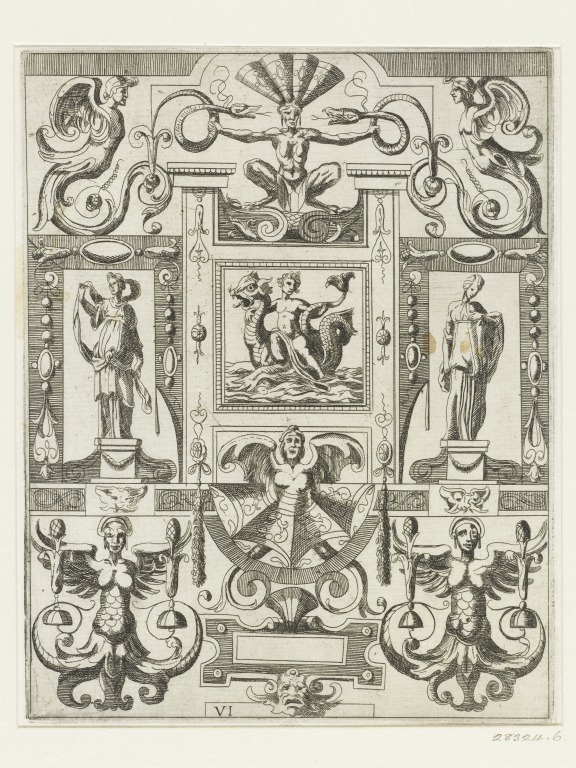 Plate 6 from a suite of copies in reverse of 10 panels within grotesque frames published by Frans van Wijngaerden and entitled 'Esemplare del' Disegno'. Flemish, 1660-1670. 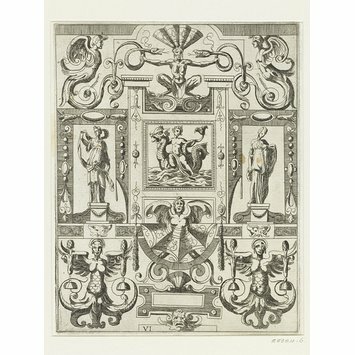 Fuhring, P. Ornament prints in the Rijksmuseum II: The Seventeenthy Century, 3 vols, Rotterdam, 2004, vol. 1, 1235-1240.